The best natural and holistic cat foods are those that most closely resemble a predator’s diet of meat, blood, bones, and organs. All of the foods on our list of the top 5 best natural and holistic foods are high in animal protein, low in carbohydrates, and made without artificial ingredients. Natural. Holistic. Human grade. Organic. Real. Words like natural, holistic, and premium lack regulatory definitions and primarily exist to make mediocre food look like a virtuous choice. 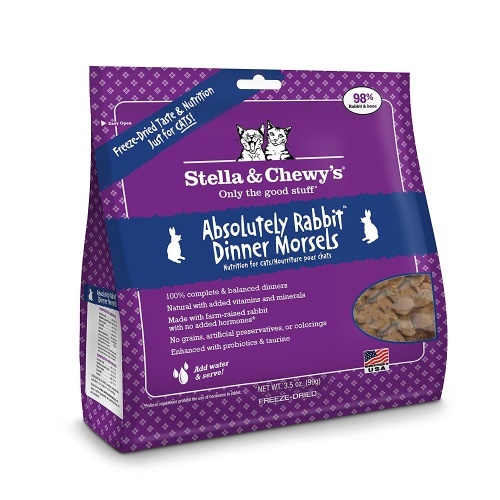 If marketers knew shoppers would buy it, these foods would be labeled “really good” or “the best cat food ever”. Thirty years ago, the most desirable pet foods were scientifically formulated and expertly balanced for optimal nutrition. The best cat food was the one you imagined being formulated in a sterile lab and made by a scientist in a white coat. Cat food shelves buzzed with words and phrases like “complete”, “optimal performance”, and “veterinarian recommended”. But now we’re going back to nature and it’s all about ancestrally-inspired food. Behind the recycled packaging and pictures of exotic-looking cats, most natural and holistic foods are no better than the rest. What is natural and holistic cat food? There’s little regulation backing up the use of the word “natural” on a cat food label. According to the United States FDA, the word indicates that the ingredients haven’t been chemically altered. That means that almost all foods qualify for the “natural” distinction. The word is primarily used to give you the impression that a given food is morally superior to other products. It says nothing about the quality or species-appropriateness of the ingredients behind the label. A natural cat food product can be a stellar, ultra-digestible formula, or it could be junk food. The Merriam-Webster dictionary defines holistic as “relating to or concerned with wholes or with complete systems rather than with the analysis of, treatment of, or dissection into parts”. The fundamental premise behind true holistic foods, aside from the fact that they exploit a marketing buzzword, is the idea that food is most nourishing in its natural state. Humans are smart, but they’re not smart enough to fully understand the intricacies of whole food nutrition. Instead of parsing nutrition into synthetically-replicable levels of minerals and macronutrients, holistic foods assume that every part of a whole food is essential—including those components humans aren’t yet aware of. 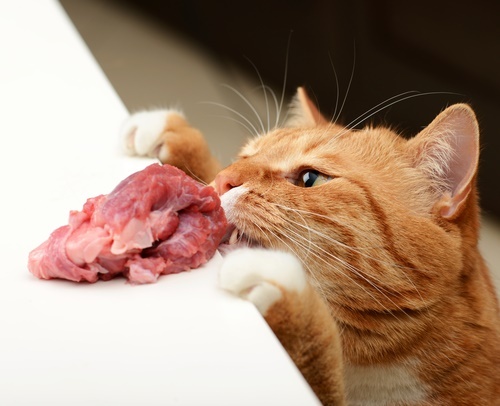 Cats naturally get all of their nutrition from whole, fresh, and uncooked animals. Meat loses some of these nutritive qualities when it’s cooked, and most meat is much more expensive than fruits and vegetables. For this reason, holistic cat foods often contain excessive amounts of whole plant ingredients. Instead of taking the traditional scientific approach and providing key nutrients through synthetic supplements, a holistic food may incorporate whole foods as sources of these nutrients. While typical cat foods might provide precise levels of synthetic beta carotene, the holistic cat food manufacturer may choose sweet potatoes and carrots as whole-food nutrient vehicles. Note that cats require preformed vitamin A from animal sources. They cannot form it from plant-sourced beta carotene. Cats survive and thrive on nothing but their prey—raw meat, bones, and organs. Unlike dogs, cats retain the same radically carnivorous dietary needs that earned them a place in human society thousands of years ago. If you take the definition of holistic as “characterized by the treatment of the whole person, taking into account mental and social factors, rather than just the physical symptoms of a disease.”, a holistic cat food should nourish your cat emotionally as well as physically. Feeding raw food, especially a challenging form of raw food like a raw meaty bone, has psychological benefits unparalleled by any other food. 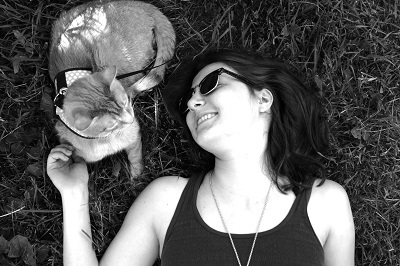 And really, the best thing your cat can eat from a psychological standpoint is an animal that they just killed. For a cat, that’s soul food. Fresh raw meat is the mother of all natural and holistic foods. Until pet stores and groceries start selling live mice, birds, and squirrels in the cat food department, it’s impossible to buy an authentically ancestral cat diet. Everything on the market is in some way a facsimile of those needs, and the accuracy of that facsimile ranges from almost-perfect like prey model raw foods all the way down to plant-based kibble, which relies heavily on synthetic supplements to achieve complete and balanced status. Here are a few indicators of a high-quality natural and holistic cat food. It’s rich in animal protein. Cats thrive on nourishing, high-quality protein from animal sources. Look for foods that emphasize animal ingredients and avoid those containing protein-rich plant ingredients like pea protein and corn gluten meal. These create the illusion of adequate protein content, but they’re less digestible than muscle meat and organs. As obligate carnivores, cats have virtually zero requirement for carbohydrates. Excessive carbohydrate content contributes to diabetes and weight gain. Having evolved as desert animals, cats have adapted to obtain most of their hydration from their food, not from a water bowl. Dry cat food can lead to chronic dehydration, so choose a hydrating food with at least 75% water content. It’s free from potentially harmful additives. The best foods are free from artificial and potentially harmful ingredients. Ethoxyquin, BHA, and BHT. These preservatives have been linked to organ disease, cancer, and skin problems. Instead, look for mixed tocopherols or vitamin E. This is an effective natural preservative found in most cat food products today. Artificial colors. There are indications that some artificial colors may cause health issues in humans and animals. Carrageenan. This seaweed-derived ingredient is a thickener and binding agent used in many canned cat foods. It may increase inflammation and is a suspected carcinogen. Look for foods that contain agar-agar or guar gum in lieu of carrageenan. Better yet, opt for a food made without any thickeners. 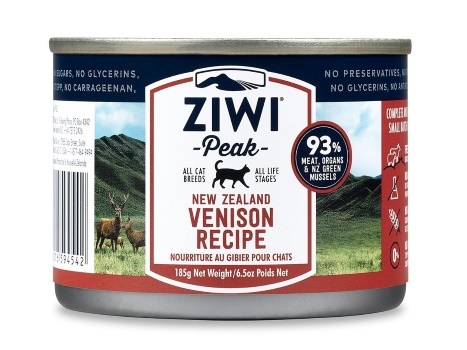 ZiwiPeak consistently produces some of the best natural cat foods on the market. While the company is best known for dehydrated jerky-style food for dogs and cats, their canned cat food offers superior hydration. 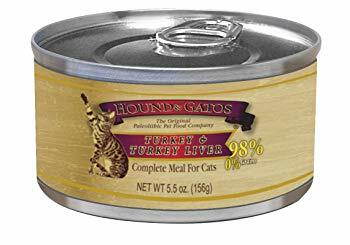 This product is 93% meat, organs, and bone from non-rendered venison, meaning that it delivers species-appropriate nutrition that’s easy for your cat to digest. In addition to lung, kidney, liver, and other organs, the food contains venison tripe, which is the deer’s highly-nourishing stomach lining. The recipe also contains green-lipped mussel, a natural source of glucosamine and chondroitin. The company relies on ethically-sourced meat and seafood from New Zealand ranches and waters. Though the recipe contains a small amount of chickpeas, it’s low in carbohydrates and generally reflects your cat’s natural dietary needs. It’s made without artificial colors, flavors, or preservatives. All Hound & Gatos foods align with what the company describes as a paleolithic diet. This means that the foods are 100% meat protein with absolutely no grains, fruits, vegetables, or other ingredients that aren’t essential to the feline diet. This also means that the foods are free from artificial colors, flavors, and preservatives. This recipe is turkey-based with a single source of protein, translating to superior bioavailability and digestion. The only other ingredients are supplements and binders. Instead of using carrageenan, Hound & Gatos foods are thickened with agar-agar. 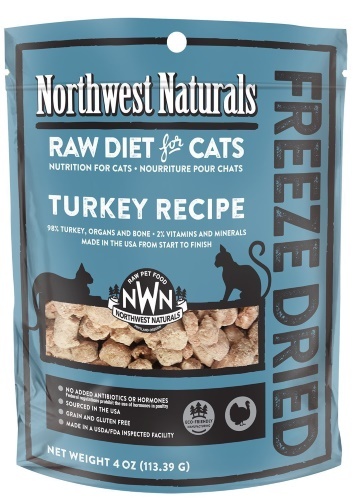 In an attempt to approximate the natural carnivorous feline diet, this freeze-dried raw food is 98% turkey muscle meat, organs, and bones. The remaining 2% of the recipe is dedicated to vitamins and minerals, along with other nutrient-rich natural additives like kelp, dulse powder, psyllium husk powder, and fish oil. Thanks to the emphasis on animal-sourced protein, this food is highly digestible and nourishing. It’s extremely low in carbohydrates and is made without any artificial ingredients. This straightforward recipe contains nothing but chicken, chicken broth, sunflower seed oil, and a supplement blend that makes it nutritionally complete. The absence of high-protein plant ingredients tells us that this is an efficient, species-appropriate food rich in the kind of protein cats need. Ideally, cats should get their fat from animal sources, so the inclusion of sunflower seed oil isn’t optimal. Chicken fat, beef fat, or fish oil are superior choices. The food is free from controversial and potentially harmful ingredients like carrageenan, artificial colors, and risky preservatives.